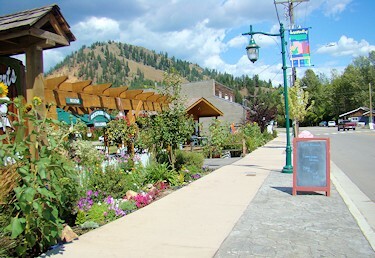 The friendly community of Lumby, BC, is located at the north end of the beautiful Okanagan Valley just a short drive (25 km/16 mi.) east of the community of Vernon . Although the village was incorporated in 1956, its history dates back to 1893 when the town site of forty acres was surveyed and named "Lumby". Prior to that, a small settlement of pioneer farmers and gold miners lived in White Valley, whose beginning commenced with the Cherry Creek gold strike in 1862. Considered the 'Gateway to the Monashees', Lumby is situated at the convergence of the Coldstream, Creighton and Trinity valleys. The Monashee Mountain (Mountains of Peace) offer unlimited outdoor recreation. Shimmering lakes nestle in the mountains and streams and rivers flow to the valleys. 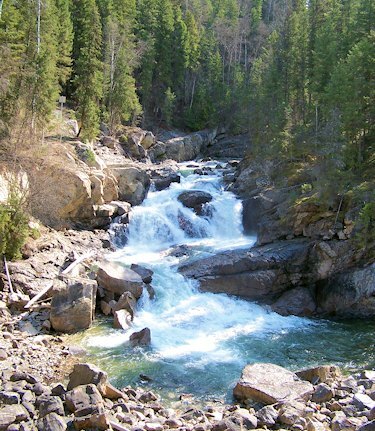 The area around Lumby is one of British Columbia's undiscovered gems! In Lumby you can pan for gold, stroll our historical mural walk and the Salmon Trail, go camping and hiking or arrange to tour the old mining digs in nearby Cherryville. 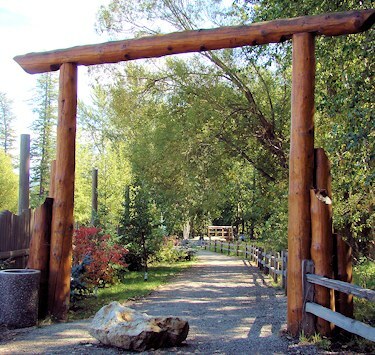 Lumby is the Trail Capital of Canada, and from here you can get-away on one of over a hundred trails that meander throughout the Monashee. The waters are ideal for fishing and canoeing, and as the eastern most spawning point for Chinook salmon, it's no wonder they chose this place to begin an exciting journey. and at the end of the day you can relax on one of our many patios to explore culinary delights. Whether you are heading north or south through Lumby, make a point of stopping and staying for awhile. 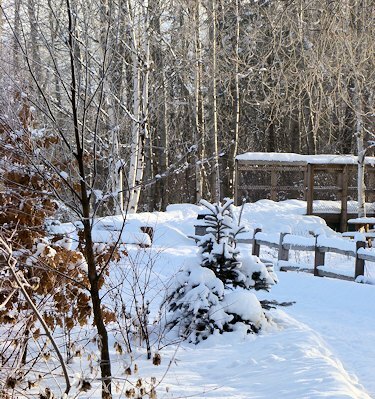 The community of Lumby, British Columbia looks forward to hosting your next vacation! Images & information courtesy of Lumby Chamber of Commerce. Accommodations: Resort, Camping, Motel, B&B, Guest Ranch. Access: Lumby is easy to access, located right on the scenic BC Highway #6 that crosses the Monashee Mountains and connects the vacation playgrounds of the Okanagan and the Kootenay�s. 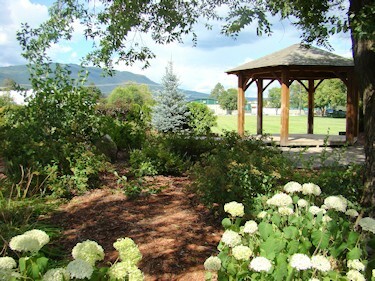 We are twenty-five minutes east of Vernon, and only fifty minutes from the Kelowna International Airport. Recreation Facilities & Activities: Hiking, Biking, Golf, Flying and more! There are is an uncountable number of activities that can be done during the summer months, and in winter enjoy cross country skiing and snowshoeing. Whether you enjoy a peaceful day of golf or a day of thrilling extremes soaring through the sky, Lumby is the place for you. Local Attractions: Hiking Trails, Lakes, Waterfalls, Outdoor Activities (Paragliding, Hang Gliding, Golf, Equine). Climate: At an elevation of 495 meters, Lumby receives 1.890 hours of sunshine every year. The average rainfall is 43.6cm, and the average snowfall is 143.2cm.